For what it's worth, this could be Schumacher's best film. There's no stylised-to-oblivion cartoon sensationalism, none of the knee-jerk politics of Falling Down; just two lonely men in a big bad city (New York, natch), and a couple of involved performances from De Niro and Hoffman, one bearing a speech impediment, the other wearing a dress. The story's an opposites-repel number, a chaste male love story charting the reluctant meeting of minds of homophobic cop Walt and ballsy drag diva Rusty, tenement-block neighbours who spend their spare time squabbling across the courtyard that separates them. An uninvolving mob-loot plot, which mostly keeps itself in the background, intercedes to leave the policeman crippled by a stroke. Too ashamed to seek help from his friends, he grudgingly shuffles upstairs and supplicates Rusty for singing lessons by way of therapy. A palatably mainstream critique of pride, prejudice and identity barriers, it's unexceptional material; indeed, it might seem drab were it not for the leads. De Niro pulls out a couple of stops, and Hoffman has a ball. I think that if flawless described one thing in the film, it was Michael Cain’s portrayal of the role he played as the clever old janitor with a mission. Demi Moore also immersed herself well into the role ofthe troubled and betrayed executive, but her acting was let down slightly by the on-off English accent she was supposed to have - at times her speech was a bit slurred. It may sound old fashioned, but maybe some actors should be taking lessons in diction. This is especially true if we have to listen hard to hear them above the often very intense and loud soundtrack that goes with the film. This is what we experienced in spades with Flawless - my hearing is quite good, but I really had to strain to hear and follow the dialogue in this film. The superb performances of all the actors in this film were spoilt terribly by the totally unnecessary loud and invasive soundtrack. I think that Michael Radford should remake this film without his very loud soundtrack - the good reviews would then come flooding in, I'm sure! A much better film than the Time Out review suggests . .What the Time Out reviewer misses is the film's integrity . 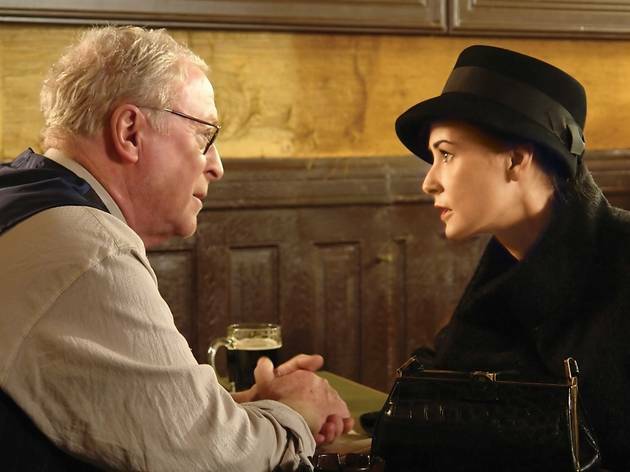 . . it is more than just a `heist movie` . . at its heart it is a film about moral choices . . . . as Michael Caine says . . `two wrongs don't make a right . . . that's rubbish .. sometimes they do` . . . It is not the `heist` that is the focus of this movie . . . .it is the journey made by Demi Moore's character . . . . Dave Calhoun misses the point . .. Although the leisurely pace of the movie is somewhat difficult to take at times, it compliments the one of the themes of music which is how `time` can eat away at lives, and how important it is to use that time usefully and productively. 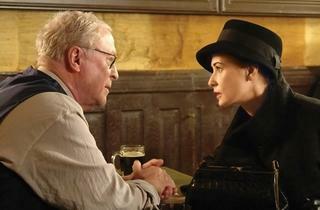 Demi Moore and Michael Caine are excellent. The Italian Job was a great movie, but this has more depth. A really clever film. Surprisingly good. Demi Moore's finest hour as an actress. A little slow and could have been half an hour shorter but otherwise worthwhile.